Start your review of Lochlan Walker. Send a message to Lochlan Walker. Thank You! 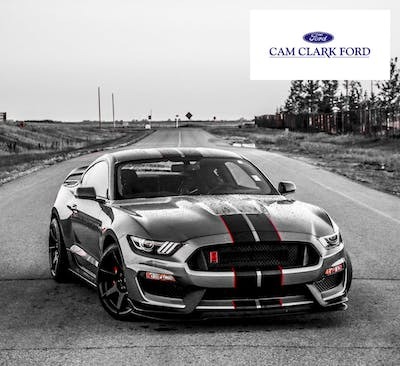 Your message has been sent to Lochlan Walker at Cam Clark Ford Airdrie. It was fast friendly service will knowledgeable people who are willing to help getting you the correct information and service for all your needs and questions. Very pleased that Cam Clarke was able to service my Ford Fusion as a result of a direct call to the dealership. The webpage indicated that the requested date was unavailable. Excellent followup by Lynn Ens ... All positive experience ... Strong customer focus. "Friendly, confident team serviced my 2017 Escape." Thank you for your attention to detail and for making this an experience without stress or concerns. From the service intake to the shuttle ride to my work to picking up my vehicle at the preferred time, it all contributed to an easy, enjoyable experience. Anytime I have needed to get my vehicle in for service they have always been very accommodating. Lochlan told me that the car would be available for pick up at noon and it was. He has a friendly demeanour and a smile which makes dealing with any issue less stressful. Cam Clark Ford did a diagnostics on my F150 and did a great job of identifying the problem. I a very happy with the service they provided to me. "Great Service for non-Ford vehicle"
We got our 2009 Hyundai Touring serviced here. The main reason for coming back to this dealership, even though we live in Calgary, is quality of service. I have always had great customer experiences with Lochlan. In the past, I used the Hyundai dealership in Calgary, and then sometimes "fast" oil change services like Mr Lube or the like. Service and quality were mediocre at best, and often more expensive than advertised - the classic line "oh you actually need this and this,...". I'd been using Cam Clark for a few years and have regretted not using them. As an example, this past May, I had gone to a Mr Lube as I hadn't had time to go out to Airdrie and been told my transmission service needed flushing. I held off at that time, and this August when I went back to Cam Clark, I was told I in fact did not need this done. This is a great example of a dealership, and the staff (specifically Lochlan) that work there, being honest and not attempting to make a buck, and for that I appreciate them. Definitely worth the trip out to Airdrie, even for Calgary residents.